To whomever may be considering moving a loved one to The Meridian at Lake San Marcos, I highly suggest “YES.” I work in the industry and know good care when I see it. Not only is it clean and beautiful, the staff is extremely friendly. My mother recently moved in and had a medical emergency her caregiver responded quickly and the LVN, Beatrice acknowledged the urgency and immediately called 911. My mom spent the next six days at the hospital. I credit Launa C., RN/Executive Director for managing and hiring an experienced team. Jessica and Lisa are on top of all that goes on with the Residents and Family. Compassion, Caring and provide excellent resources when needed. It is a wonderful pleasure working side by side with this Team. Amazing community. Friendly staff. Clean well manicured grounds. I would definitely recommend this community to family and friends. The Meridian At Lake San Marcos is a stunning community. There is lots of greenery, areas to walk and even a heated pool. The staff is friendly and caring. Thank you so much for your positive comments about The Meridian at Lake San Marcos! The Meridian at Lake San Marcos was very pretty, it looked like an Italian villa, and you get the most for your money too. The food was wonderful and the cleanliness was really nice. They have the same décor in the memory care unit as the other levels, and they have lots of activities that the memory care folks can also enjoy. They have two and a half story walk-in rock walls with all kinds of neat things. They have a pool, waterfalls, billiards upstairs, a card room, a workout room, a theater, and so on. They always have activities going on, and they have trips and things that you can sign up for. And they always have special activities for the new year or Fourth of July where you have your choice of steak or lobster or both. The food there was great. Thank you for taking the time to let us know how we did. Our team strives to deliver an excellent experience, and are glad you found this to be the case during your visit. If you have further needs or questions, please reach out! We hope you have a great day! I live in The Meridian at Lake San Marcos. It's beautiful. I came here when they opened. It's gorgeous, and everyone is nice here. They have lots of activities. The food is mostly delicious, but sometimes it's not. We are glad that we were able to go above and beyond your expectations and thank you for sharing your positive experience! We are very happy to hear that you are enjoying yourself! We will share your constructive criticism with the chef and Executive Director. Thanks again for the recommendation, and have an amazing day! I liked the Meridian, it was very modern and clean, and there was an RN on site. They were good, and they followed up with me. They had a pool, library, and salon. I sat down with my friend's mother for lunch, and the food was good. Thank you for your detailed review. We strive to provide excellent care and service to our residents and their families at The Meridian at Lake San Marcos. We appreciate you taking the time to leave us a review! Beautiful resort like living. The staff are caring, professional, and friendly. Fantastic dining experiences! My mother is in The Meridian. It is beautiful. It is brand new. Everything seems to be wonderful. They have activities like bridge and poker. She enjoys breakfast and lunch with the people there. My husband and I eat there a couple of times, and the food is good. The dining area looks like a restaurant. It is very nice. We chose that place because it is very top of the line. Beth, thank you for leaving this detailed 5 star review about your experience with our community. We appreciate it and look forward to seeing you again. Food at The Meridian at Lake San Marcos was more of a restaurant food quality. However, the facilities were too large and too dark, and there were too many people. Thank you for bringing this to our attention. Falling short of meeting your expectations is not to the standards we strive to achieve. Thank you providing this information so we can improve upon our services. The Meridian was clean, roomy, bright, good lighting and had a pleasant staff. We saw the menu and it looked good. I visited The Meridian at Lake San Marcos. They covered everything. They took me on a tour and showed me different units and all of the amenities. They did a pretty good job. The rooms were the best part about it because theywere beautiful and really nice. They go on trips and had different kinds of activities. They showed me a calendar, which showed all of the different activities. They had a really nice heated swimming pool. The location was great, too. Thank you for your 5 star positive review and for the opportunity to show you our amazing community. We are very proud of our fantastic staff, luxury community and the level of care we provide! If you would like to discuss any additional questions and or concerns, we welcome you to contact us at the community. We look forward to having you as a valued member of our community! We are sorry to see your negative review. Thank you for leaving your feedback. I moved my 88 year old parents to this facility three months ago. I was attracted to the place because, like most of the other reviews, it is new, the physical facility is VERY nice looking, and the food in the main clubhouse was the best I have experienced in a place for seniors. My parents are i assisted living and are memory impaired. This place falls short in the areas of communication and service. There is no apparent system in place to let me know the health status of my parents. They both have high blood pressure but I was told they don't check it unless they see symptoms. Symptoms such as what, a stroke? In their sales brochure they promise weekly wellness checks but they don't have a system of letting me know what those wellness checks show. Because of this lack of accountability I feel like my parents are not being looked after very closely. The Meridian at Lake San Marcos is a new place, and it's very clean. The food is very good. They have gates, but they are open during the day. My mother is in the memory care, and you have to buzz to get in. She is in a studio -- which is big enough -- and it has a nice bathroom. They have a movie theater that shows movies twice a day, a gym, and activities like bingo and card games. I was treated extremely well during my visit at The Meridian at Lake San Marcos. The staff were very kind, very patient, and very informative. They showed me all the facilities and went through everything available. They couldn't have been nicer. The facilities were beautiful, and it didn't feel like an old people's home. The rooms were brand new with stone counters; it was just really nice. They had a pool, and it felt more resort like. They had a computer room, a game room, and two different dining rooms which felt like restaurant dining. They had a beautiful fireplace out where you could kind of just mix with people, and they had outdoor areas where you could sit on patio furniture. They had a gym with the physical therapist who helps people with the gym equipments or could give physical therapy if you wanted. They have big rooms for arts and different crafty activities. They had it decorated beautifully for the holidays. The people living there were happy. I took a tour of the Meridian at Lake San Marcos, and I really liked the place, but they did not have any one-bedrooms available and they have a long waiting list. All they had available was a studio, and it was way too small. I didn't want a studio. One thing I was impressed with was that it was fairly new. The other thing was the whole setup of the place. Because it was a combination of independent and assisted and I am only 67, I did not feel like I was around any 90-year olds that could hardly move. And it was clean. They paid a lot of attention to details, and the meals and things looked good. They just had a lot of little amenities that were very nice. We passed by one of their activity rooms, they were playing some kind of game, and they seemed to be having a lot of fun, and then they had a music room. It was a lovely facility, and I really wanted to stay there but, like I said, they did not have availability for me. And the gentleman who took us on a tour was very nice, and he answered all our questions. I just felt bad that I was not able to get in there. Hi, thank you for taking the time to share your review, your opinion is very important to us. Did you know we have a Facebook page with pictures of our residents and their interesting activities? (The link to the Facebook page is on our website). Please feel free to contact with any and all questions. We hope you have a wonderful day and we hope to see you at one of our upcoming activities! The Meridian at Lake San Marcos was very impressive. It was brand new, and everything was good about it. I only met one person from the staff, and she was very helpful. I saw the menu, and it looked very good, but I didn't get to eat there. The Meridian is very nice. The rooms are very nice. They have all kinds of activities. The food is good. I have eaten there. and I like it. The staff is nice. They are all there to help you. It is brand new. The price is reasonable. We went and toured The Meridian at Lake San Marcos. The facility was a little over a year old, so it was very new. They had different types of living arrangements, like independent living, assisted living and memory care, so it kind of covered all the senior needs. We toured the assisted living facility. Everything was included. It had three meals a day. They had very helpful, very friendly and knowledgeable staff there. They were good at first impressions. The cost seemed to be very reasonable. We looked at one-bedroom unit with a bedroom and living area. They had a large walk-in closet. It had a single bathroom with a walk-in shower and it had amenities for people with disabilities to walk in and had their shower or off to the toilet area. They also had a little kitchenette area. It didn’t generally come with an oven or a stove, but you could have a microwave. It ranged anywhere from 600 square feet to around a thousand square feet for the one bedrooms. It had also a wide range of sizes and of course, the price would differ for each size. They had a number of activities scheduled during the day. They actually used the touch screen monitors in the hallways, near the dining area and actually in your own room, where you can see as to what activities were going on during the day. So, you don’t have to actually to go look at a bulletin board. They were high-tech. The dining room was beautiful. They had three dining areas all on the first floor. If you were living in the independent living, you were on a meal plan where you had to pay for your meals as you eat them. If you were in the assisted living or memory care, it was included in the cost of your rent for the month and you could eat any time of the day. There were three meals provided. It was not scheduled. You could come and eat whenever you wanted. There was a lot of flexibility on the kind of foods you would have. They had their standard menu and you would have two different specials for the day that they offered. From what I saw in the menu themselves, they were very good cuisine. They had a liquor license, so they could serve wine or liquor on the premises. They had a small outdoor pool that the residents could use. They had a room that actually looked like a theater where there were theater seats. The Meridian at Lake San Marcos was brand new and it was very impressive. We saw some of the rooms and the individual apartments, and we were very impressed with them. They seemed so bright, shiny and new with beautiful architecture. The Meridian was way out of my money range. It was wonderful but expensive. Nevertheless, it is a brand new facility. They have huge, big apartments with huge, big bedrooms. Also they have beautiful outside area. The Meridian was very nice. I was really impressed with everything about it from the rooms to the dining to what they had going on for people. The one drawback was that to get to the dining room or to the activity room, you leave your room and walk across the parking lot outside and I just thought eventually that might prove to be a problem. If they built some interior hallways to the main building, I think that was the big difference. There were several different buildings. The one I looked at was the one that we walked back outside to get to the building. There is a pool, there is a movie room, there’s a computer room. They had it all. It was very impressive. The room wasn’t too small. I watched people eat and that sure looked good. I think they’re outstanding other than a few quirks. The Meridian at Lake San Marcos was very nice. They have a pool and a library. I only met very few of their staff members but the one who toured us was very informative. Their rooms were spacious. I was able to eat there and it was very good. I definitely like this one better than the other place. Everything there was better. The population also was younger. Shaun is always available when we need him. Very pleasant personality. I visited The Meridian at lake San Marcos. I liked it very much, and its fairly new. Its just lovely as you walk in. They provide two meals a day, and they have underground parking, which was important to me. I have a friend who has lived there for five years and she really likes it a lot, she doesnt have any complaints. They have an outdoor swimming pool, a library with computers, and a room where they do exercises. Ive been there quite a few times for lunch and dinner and the food is good, the staff seemed very nice, and they have graduated care. They have assisted living and memory care units, and that was important to me. The Meridian at Lake San Marcos was very good. The layout of the apartments that I looked at was good as well. It had a washer and dryer in the unit, which was important to me. They allow cats. We had lunch there and it was excellent. Everyone I met was delightful. They couldn't be more helpful. They also had a library. It was a very nice tour. Thank you for your detailed positive review PC, your satisfaction is our top priority. 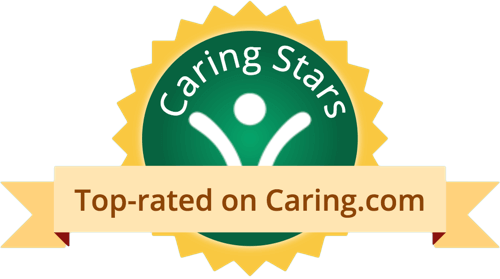 We strive to provide excellent care & superior service to our residents and their families. Thank you again for taking the time to let us know how we did. Please feel free to reach out to us if you need anything. Have a wonderful day, we look forward to seeing you again soon. I went to The Meridian at Lake San Marcos and toured it. It was a really nice place. A little more expensive and far out for me, but it was still a nice place. They have a very beautiful common area, a pool, and a courtyard. I liked their overall layout. I didn’t get to see the size of the room that my mom and her boyfriend would be able to have, but I saw a larger one. It looked like a very nice place. They were very friendly, and it was close to some activities that they might enjoy. It was a beautiful facility. The only thing, it was a little farther out for me, and I wanted something that was much closer so that I can see my mom more frequently. Other than that, the facility was very nice. Maybe more grassy areas and more garden-y kinds of things would be pleasant. But I like the fact that they had open courtyards between the buildings with umbrellas and tables and people could sit and enjoy that. And they had a pool, so I thought that was great, and the activities were nice. Thank you very much for taking the time to leave us this detailed positive 5-star review. We have a wonderful community and feel certain that your mother and boyfriend would be extremely happy here. We have a variety of activities and fitness classes that our residents enjoy. We also have family activities that you can participate in with your mom! Did you know we have a Facebook page with pictures of our residents and their interesting activities? (The link to the Facebook page is on our website). Please feel free to contact with any and all questions, (760) 566-7496. We hope to see you here soon! We chose the Meridian because of its cleanliness, the size of the room, and its affordability. The staff, and everyone seemed to be pleasant. Mom has a one-bedroom about 550 square-feet, and they furnished it. She has been there for about 10 months now. The dining setup is like a restaurant. Thank you for your 5 star positive review! We are so pleased that you are happy with your decision to have your Mother live here with us. We appreciate the kind words and agree with you! We are very proud of our staff, community and the level of care we provide! We genuinely care for all our residents, and it shows! Did you know we have a Facebook page with pictures of our residents and their interesting activities. (The link to the Facebook page is on our website). Dad has been in The Meridian for seven months now. The rooms were nice and good. The staff is fine and great. They have everything that anyone could want there, and they have all sorts of things available. Thank you for your positive review. We are very proud of our beautiful community and the high level of care we provide! We have a fantastic Executive Director who fosters an atmosphere of acceptance and warmth. She and the staff and genuinely care for all our residents, and their families. We hope to see you around and would love the opportunity to shake your hand and say thank you in person. We have a Facebook page that we share our daily activities to, its a fun way to see what your Dad has been doing during the day! Escape the ordinary. Escape to The Meridian at Lake San Marcos, a luxury San Marcos senior living community offering independent living, assisted living and memory care, all designed for discerning individuals who expect more out of life. Here you can immerse yourself in an exclusive retirement lifestyle offered in a breathtaking setting along Lake San Marcos in the heart of San Diego County; a lifestyle rich in service, amenities, beauty and possibilities. Beautiful 22,000 sq.ft. Clubhouse that provides resort living. Fountains and beautifully landscaped community. What should caregivers and potential residents know about The Meridian at Lake San Marcos?